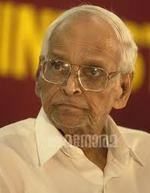 'Seventh Remembrance Day' of the great genius, P Bhaskaran, the Pillar of Malayalam Cinema and Literature! Remembering a legend who left us seven years ago on this day � he is the one who drew 'Paattinte Paalazhi' from 'Paazhmulam thantu', through the Celestial voice of Yesudas, which still gives goosebumps each time one listens to that eternal classic from the film 'Vilaykku Vaangiya Veena' directed by himself � and for the uninitiated few out there, today is the 'Seventh Remembrance Day' of the great genius, 'P Bhaskaran, our Bhaskaran Master', who bid farewell to us on 25 February 2007! He has done so much for Malayalam Cinema and Malayalam literature and so many of the Lyricists, Film Directors, Poets, Writers, etc, took inspiration from the great man! 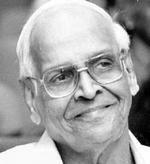 It was P Bhaskaran who brought an identity for Malayalam Cinema at the National level, winning the President's 'Rajatha Kamalam', with his film 'Neelakkuyil' in 1954, co-directed with Ramu Kariat, based on a book written by Uroob, fighting against Feudalism, Untouchability and inequality for women! He wrote all nine songs from this film, 'Kaayalarikathu valayerinjappol, Ellaarum chollanu, Kuyilinethedi', etc, are still on everyone's lips even after 60 years! He also wrote the most powerful theme song for the 'Punnapra-Vayalar agitation, 'Vayalar Garjjikkunnnu' under the pseudo-name, 'Ravi' � and surprisingly, the most religious worship, 'Keshaadipaadam thozhunne' also came out of the same fingertips! He was an actor, journalist and a Poet, who has written many books and done lyrics for around 3000 film songs, directed 44 films and a few documentaries -- the list goes on and on! 'Thaamasamenthe varuvaan Praanasakhi, Alliyaampal kadavilannarykku vellam, Oru pushpam maathramen poonkulayil nirthaam njaan, Innale mayangumpol, Pakalkkinaavin, Nee madhu pakaru, Vaasntha panchami naalil, Anjanakkannezhuthee, Aadyathe kanmani, Oru kochu swapanathin, Thaliritta kinaakkal than, and many many songs such as these still make the dreams of men and women who are in love or those who love to dream! His words could bring on melancholic love and at the same time the most tender love would be oozing out of every syllable, and yet, each word had certain strength in them, as in 'Karayunnoo puzha chirikkunnu'! His imagination in these words in 'Ente veenakkampiyellaam vilaykketuthoo avar, ente kayyil theerkkuvaanoru vilangu theerthu, Ente baashpadhaarayaake vadicheduthu swantham sundarimaarkkaniyuvaan kunukku theerthu...', is unbeatable! He was honoured with the most prestigious 'J C Daniel Award' for his Lifetime Achievements, and was the recipient of many awards. He left us with these words, �Orkkuka Vallappozhum� ('Remember me Once in a While'! ), but we don't need any reminders to remember him: 'P Bhaskaran' � Bhaskaran Master' will always be in our hearts for ever! May your soul Rest in Peace!